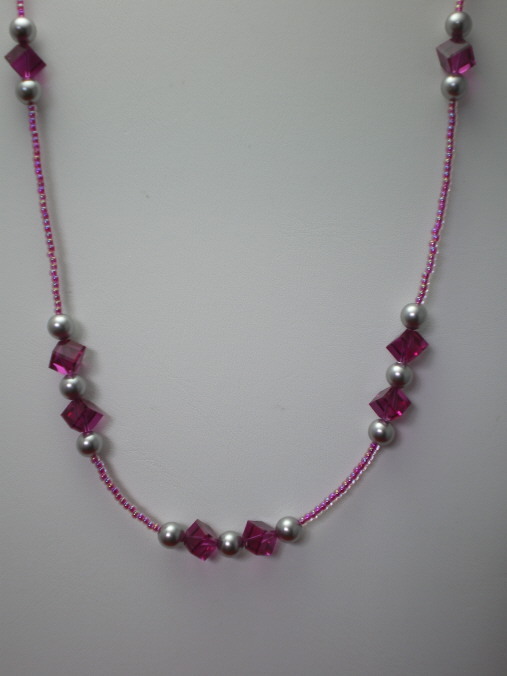 Two pale pink swarovski crystals near twisted sterling silver toggle clasp. 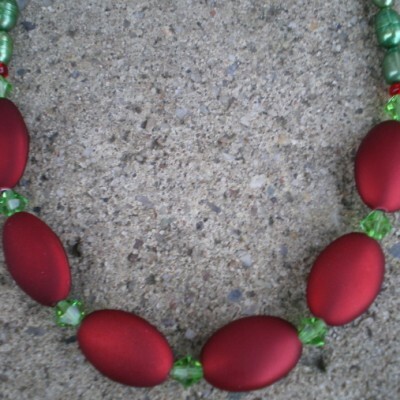 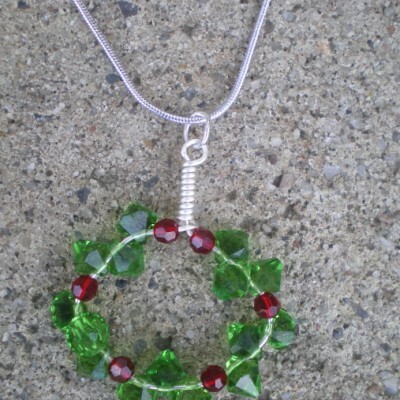 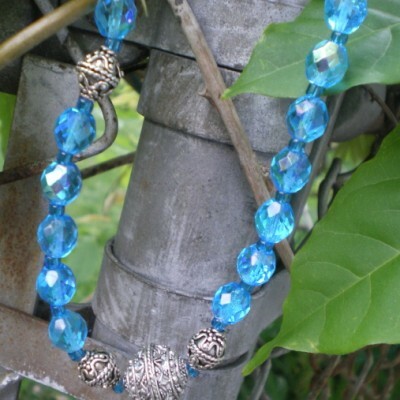 Be the first to review “18″ Necklace. 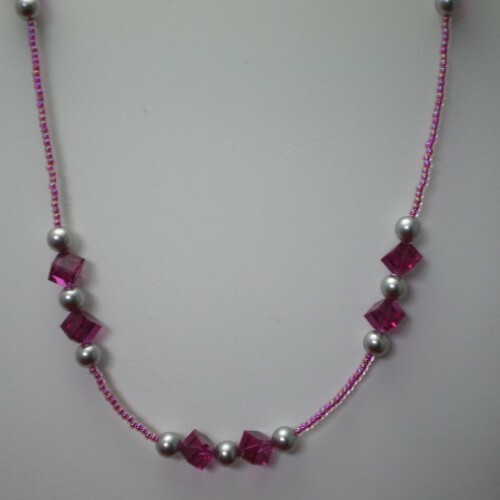 Gray swarovski crystal pearls, magenta diamond shaped swarovski crystals and seed beads” Click here to cancel reply.